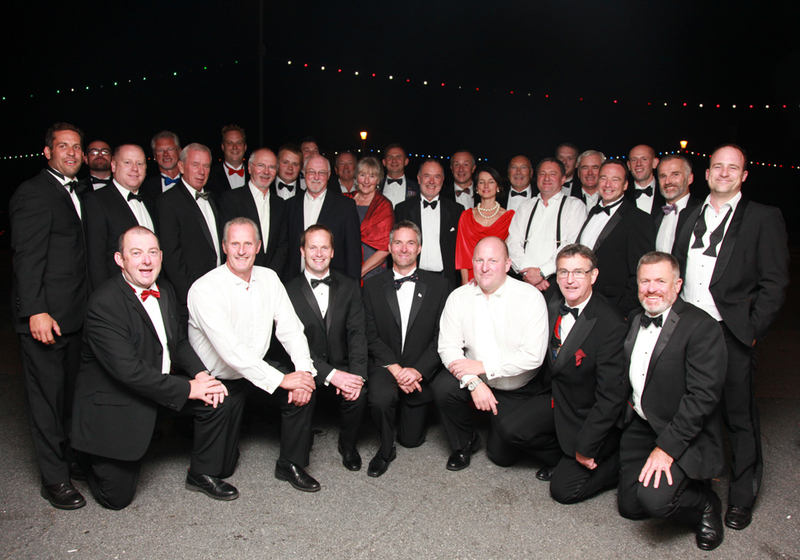 The 2014 Lifeboat Ball which took place on 4 October at the Exmouth Pavilion, amassed £5,040.16 through ticket sales, raffle and a prize auction. 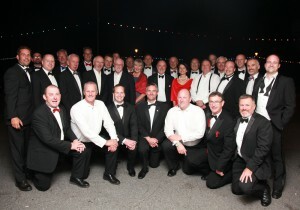 The successful event was organised by a committee of Exmouth RNLI Crew volunteers’ wives and girlfriends. The event was intended as a celebration after a period of intensive training on the Shannon class lifeboat R and J Welburn. Although the weekly exercises aboard the all-weather lifeboat continue throughout the winter months, volunteers had been training at sea for between 10 and 14 hours a day, after the arrival on 9 May. As only the second RNLI lifeboat station and the first in the south west to receive this state-of-the-art Shannon class lifeboat, volunteers are committed to the charity’s essential training at both the Lifeboat College at Poole and in Lyme Bay. A small committee consisting of Crew volunteers’ wives was set up in the summer to organise the event. Ticket sales were so successful, there was a waiting list only a week after they went on sale to the public. The committee approached local businesses for auction prizes and attracted generous donations from local companies: FlyBe flights, Exeter Chiefs tickets, River Cottage cookery school, Angela’s fish restaurant, River Exe Café, and a painting by local Artist, Mark Loman of the Lifeguard hut. The Auctioneer for the evening was Hugo Swire MP who motivated the guests to raise over £2,100.